Hurricane Rita’s 115 mph winds prove to be no match for the FiberTite® Roofing System that protected DuPont’s Live Oak Warehouse . The Sabine River area of southeast Texas is not just a vital component in the nation’s oil infrastructure, it’s also home to a critical component of FiberTite’s legacy. When Mother Nature produced Hurricane Rita on September 24, 2005, who would have known the storm would make landfall at the only place in the world where DuPont produces Elvaloy® — a critical ingredient that helps make FiberTite roofing membranes highly durable, flexible and weather resistant. The Sabine River area is not only the Elvaloy manufacturing site; Elvaloy is also stored at this location. A disruption in the Elvaloy supply chain is something that neither Seaman Corporation nor its customers would take lightly. Fortunately, DuPont had the foresight to prepare for the storm’s arrival. Thirteen years prior to the storm, DuPont replaced an existing BUR system on its Live Oak Warehouse with a FiberTite mechanically attached roofing system — 410,000 square feet were covered by the very membrane that makes optimum use of the Elvaloy ingredient. Hurricane Rita’s 115 mph Category 3 winds caused $10 billion in damage and took a number of lives. 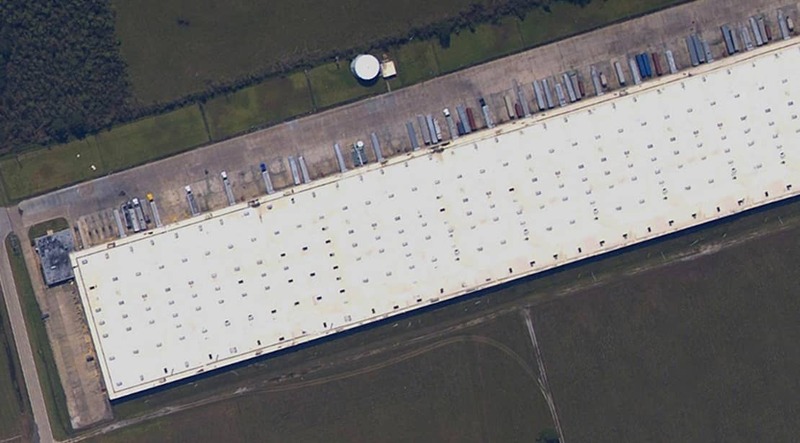 While other structures in the surrounding area suffered damage from roof failure — some losing parts of all of their roofs — the DuPont Live Oak Warehouse and its precious inventory was well protected by FiberTite’s durable roofing system. Thanks to FiberTite, business disruption was minimal. In fact, it was the unavailability of purchased utilities, raw materials and supporting infrastructure that were the obstacles to resuming normal operations for the warehouse. Seaman Corporation’s proprietary coating formula for roofing membranes was used to set the ASTM standard for the optimum use of Elvaloy. As a result, FiberTite has been successfully protecting buildings and their contents for more than 25 years.